Why October? The first thing that comes to my mind when I hear “October” is Oktoberfest, world-known festival in Germany. I started learning German language and German culture when I was a kid. Thus, throughout my middle and high school, Oktoberfest was one of the main topics in my German classes. Year after year I grew to love this festival. But Germany is not the only country where you want to go to in October. Let’s take a look at other festivals and places that you must visit in October. Don’t you mind if I start with my favorite Oktoberfest? 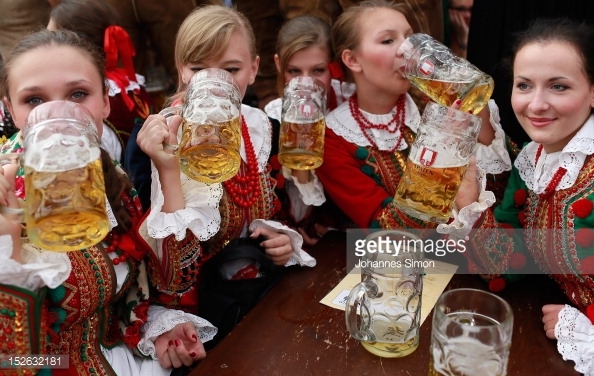 When it comes to Oktoberfest, everybody seems to be interested only in beer. Is it even a surprise considering that Germany is one of the best beer counties in the world? The festival runs for 16-18 days from mid or late September to the first weekend of October. Usually over 6 million people from all parts of the world travel to Germany to celebrate Oktoberfest. The popular beer festival was first held in 1810 as a hose race to celebrate Bavarian Crown Prince Ludwig’s wedding and has been celebrating every year ever since. The horse race ceased its existence 1938. Who needs the horse race when the beer flows everywhere like a river? The next place to go in October is Los Angeles, California. 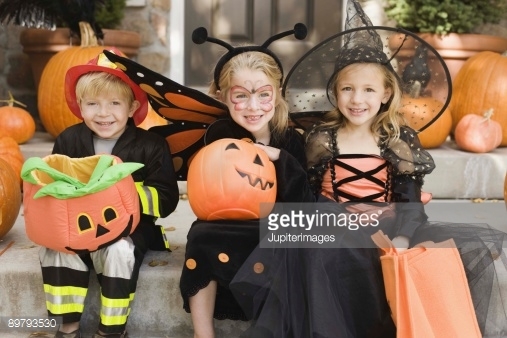 Don’t be surprised to see children, dressed as ghouls and zombies, going from house to house and asking for “trick or treat” here… Do you like it or not, this has become an inseparable part of the American culture. Halloween is celebrated on October 31, the eve before the Western Christian feast of All Hallows. It is one of the popular holidays among people of all age. To see the largest Halloween carnival in the world, go to West Hollywood, Los Angeles, where more than 500,000 people take the streets of Santa Monica Boulevard and enjoy the bizarre costumes, live entertainment, and patio parties. 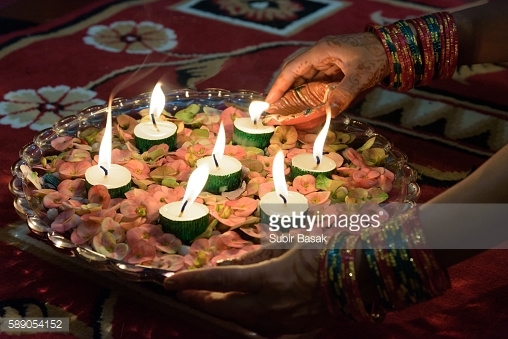 Diwali or “Festival of Lights”, one of the most popular Hindu festivals, is observed on the 15th day of the Indian lunar month of Kartika (October/November). The celebration lasts 5 days and involves the lighting of clay lamps filled with oil, which symbolizes the victory of good over evil. There are a lot of lights, firework shows, flowers, and sharing of sweets. Every year during early October the skies above Albuquerque become beautiful, colorful mess created by over 500 balloons of every shape and color. 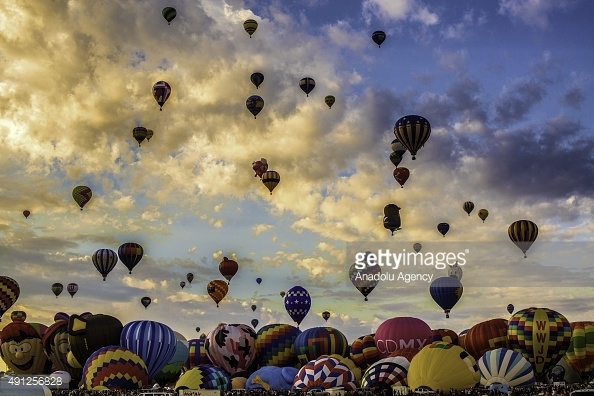 Thousands of people from around the world gather in the city of Albuquerque for the largest hot air balloon festival in the world. The festival includes flying competitions, fireworks, entertainment shows, and great food. This is an excellent place for people of all ages. Bridge Day is held every third Sunday of October. 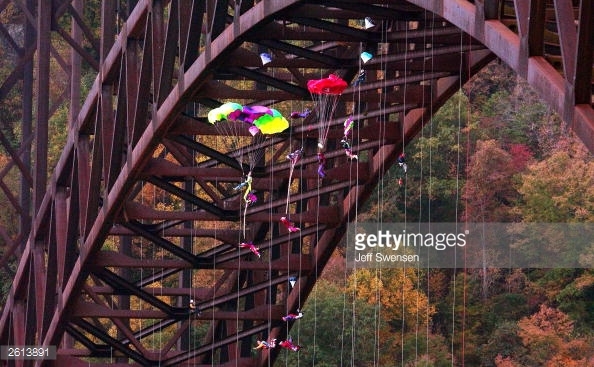 BASE jumpers and spectators from around the world gather on the New River Gorge Bridge to enjoy the largest extreme-sport event in the world. The Pushkar Camel Fair, one of the largest camel fairs, is held in the town of Pushkar. The fair lasts 5 days and gathers hundreds of herdsmen who buy and sell the camels. 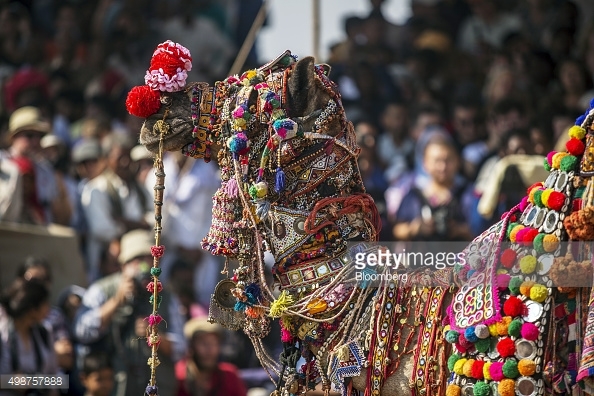 In order to attract the buyer, the camels are decorated with colorful bits of clothes and papers. The fair, which has become an important tourist attraction, draws hundreds of spectators who come here to watch competitions such as “longest moustache” and “bridal competitions”. Oooh, love this round up of different places to go to in October! I really wanted to go to the hot air balloon festival in NM, but totally forgot about it and missed out. Bookmarked for next year though! I’ve always wanted to go to Oktoberfest. It sounds so so fun! Next year for sure! Albuquerque sounds amazing and really different! loved it. Yes, you are right. They all are very interesting and memorable.